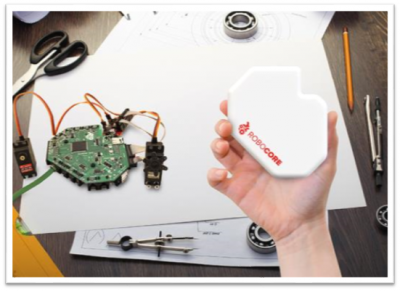 Krakow, Poland – February 11, 2015 – Husarion, a Poland-based technology start-up, today announced it is seeking funding for RoboCORE, a device that acts as the “heart” of the DIY robot. Husarion’s mission is to bring robotics into the mainstream consumer market and RoboCORE offers the ultimate solution that allow robotics enthusiasts and companies to easily build their own robots, without the need for high-level programming or engineering skills. The market for consumer and office robots is surging. A recent report from Business Insider Intelligence found that the multibillion-dollar global market for robotics, long dominated by industrial and logistics uses, has begun to see a shift toward new applications. According to BI, There will be a $1.5 billion market for consumer and business robots by 2019. BI also projects the market for consumer and office robots will grow at a CAGR of 17 percent between 2014 and 2019, seven times faster than the market for manufacturing robots. 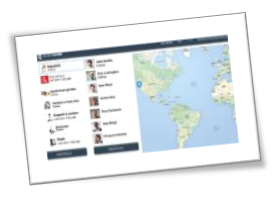 RoboCORE will be useful for a variety of business settings and in solving real human problems. The module is also ideal for students and hobbyists, who will now be able to create and design complicated constructions that were previously impossible to build inexpensively, or without advanced programming skills. 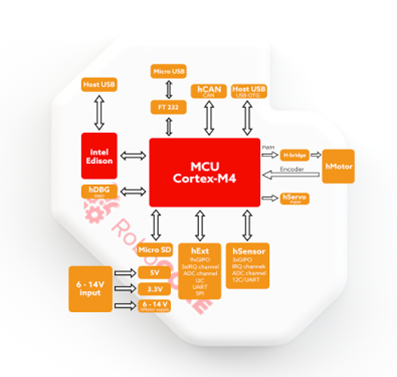 In addition, RoboCORE is compatible with any mechanics system, including pieces from popular LEGO® MINDSTORMS® sets. Dieser Eintrag wurde veröffentlicht in Crowdfunding, Development, English, EV3, Hardware, Lego Mindstorms, NXT, Programming, Software und verschlagwortet mit crowdfunding, Husarion, RoboCore, Robot Heart von Sebastian Trella. Permanenter Link zum Eintrag.